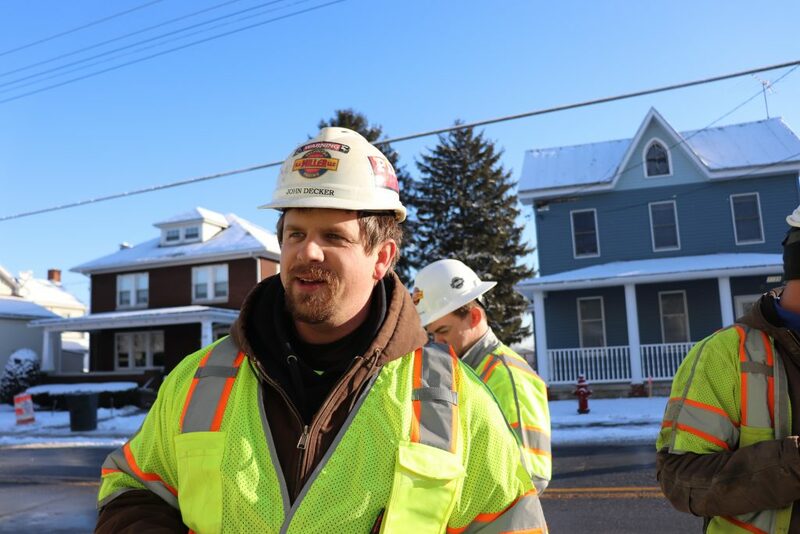 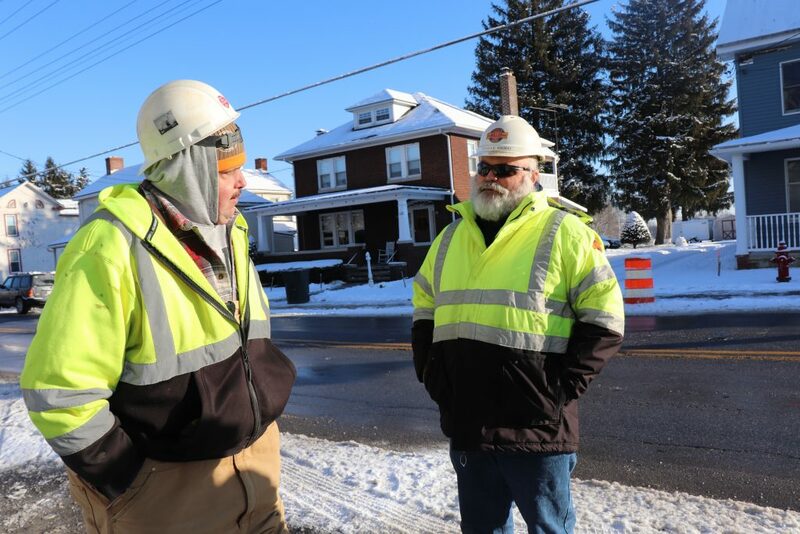 Back in December, CJ Miller Excavator Operator John Decker spotted a senior woman attempting to cross the street where CJ Miller is working on the Hampstead Streetscape Project. 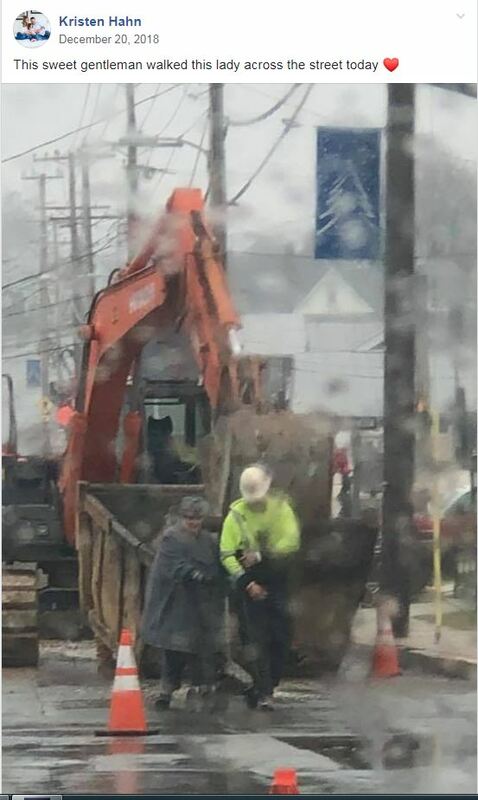 It was raining, and John was quick to come to the woman’s aid in helping her navigate the construction zone. 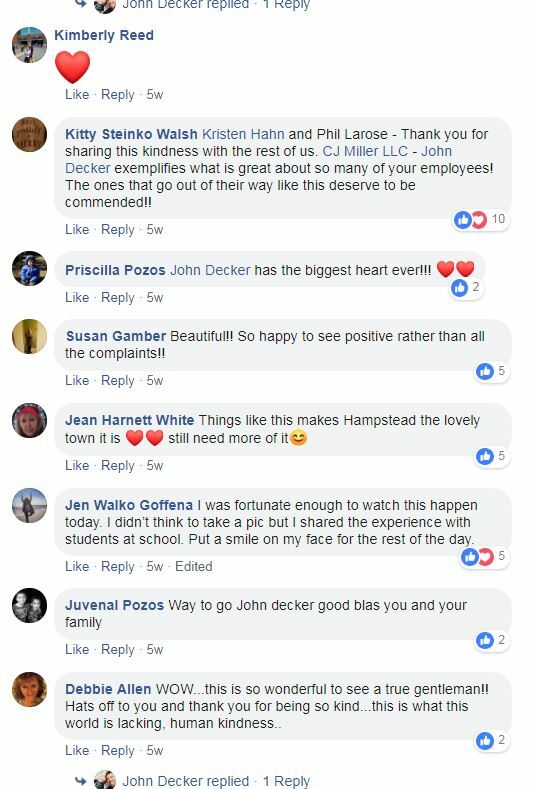 Unbeknownst to John at the time, Hampstead resident Kristen spotted the random act of kindness and quickly snapped a picture, which she shared on the Hampstead, MD Facebook page. 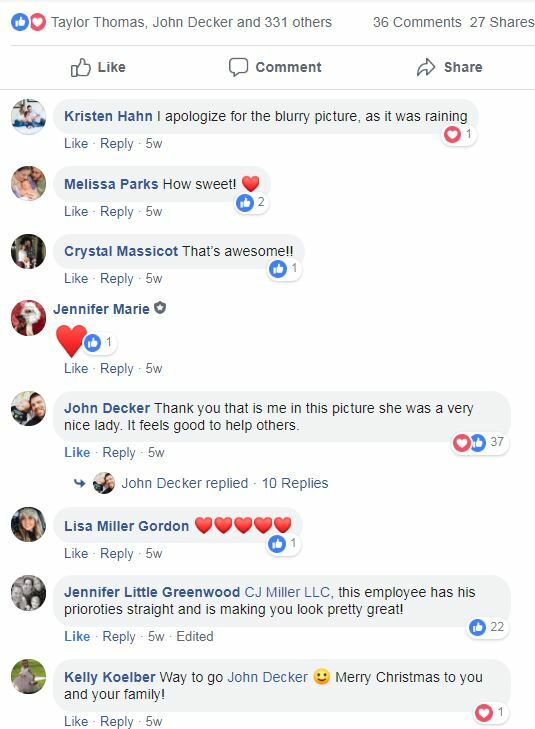 Many people liked and commented on the photo, including one woman who said John should be commended for his good deed. 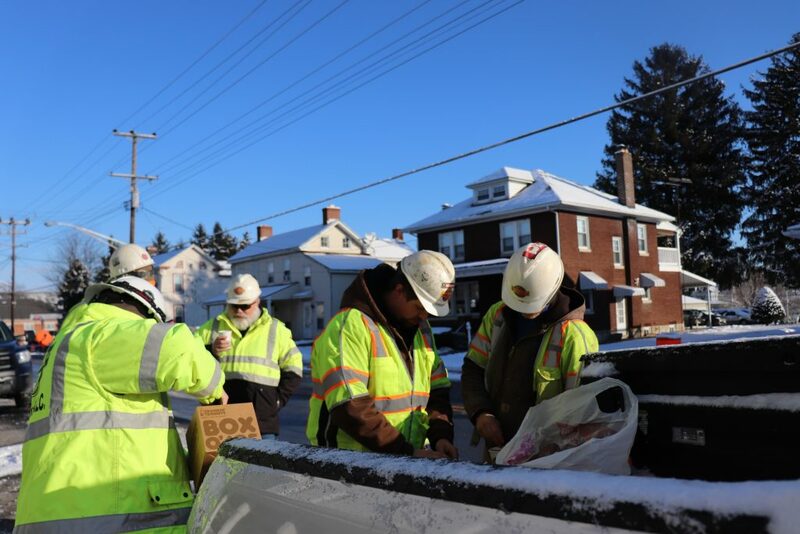 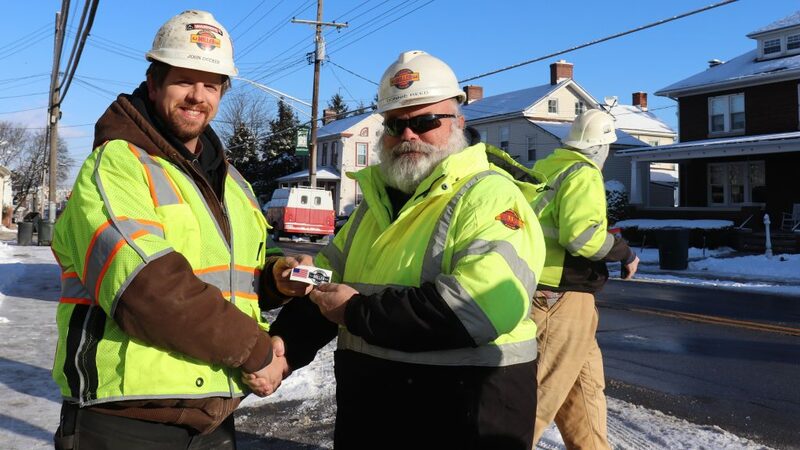 We agree, and today our Utilities Superintendent Donnie Reed was on hand at Streetscape to present John with a special safety sticker he can place on his hardhat, and to offer donuts and coffee to everyone on his crew. 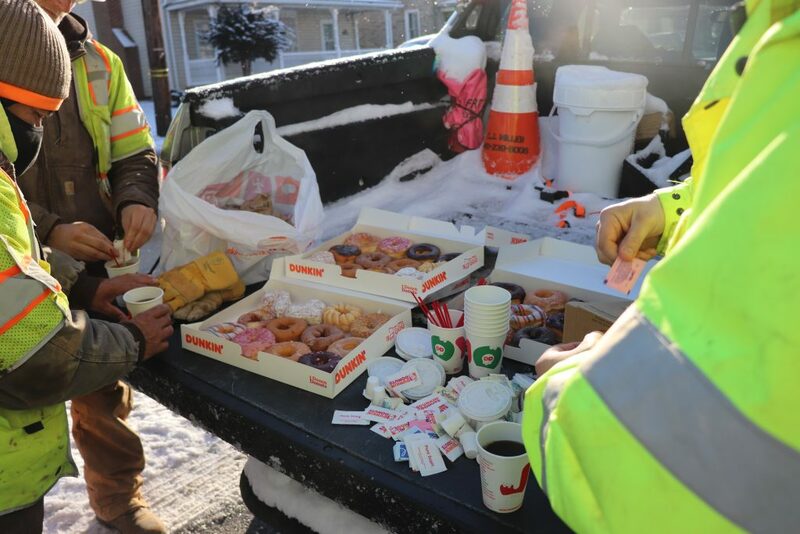 Thank you, John, for your chivalry, and we are certainly happy to have you as an employee! 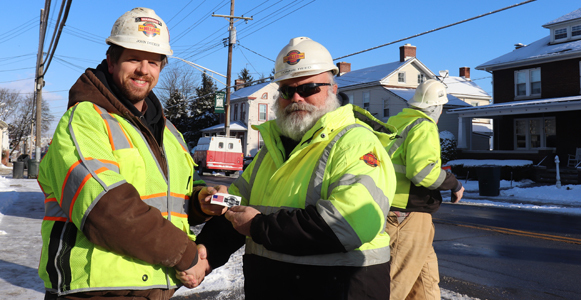 John Decker (left), accepts his safety sticker from Donnie Reed.